If your reading this then you most likely either own/work for/go to a shop that services your car. I created this blog to help communicate with you. I don't expect this to be anything else but a way for me to send and post messages on my progess in making a new and very forward thinking advertising tool for customers to find good shops and for shops to attract the type of customer they want to attract. I am very excited about the success it's had but I want it to continue to grow. So next week we launch or national campaign to attract app users and more shops to send these customers to. Look for us in VehicleMD, NOLN and all over the web and news group. Viva Oil Change! I am putting together a survey and will be sending it out to all the shops who have signed up to get their ideas and feedback. 300 shops in 2 weeks! 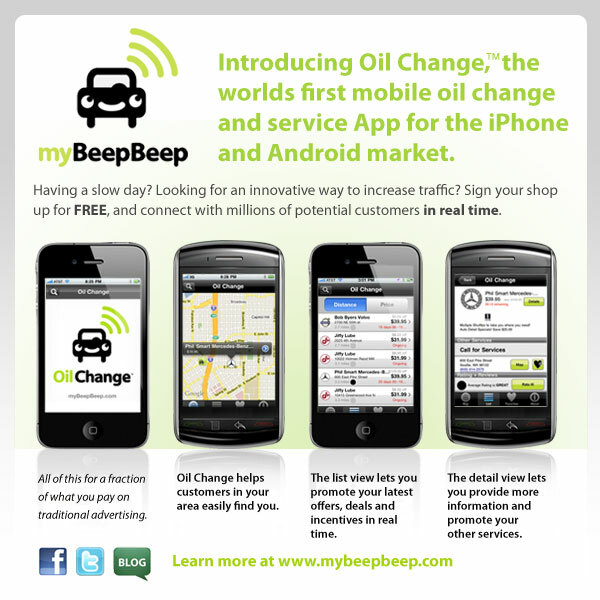 Will this app change how you get you Oil Changed? New shops being added everyday!